Police and bomb squad members were called Friday afternoon to the Liberty Lake Apartments, 201 South Buesching Road in Lake Zurich | Photo: Google Street View. A bomb squad was called after a maintenance worker spotted a suspicious device inside an apartment in Lake Zurich Friday afternoon, police said. 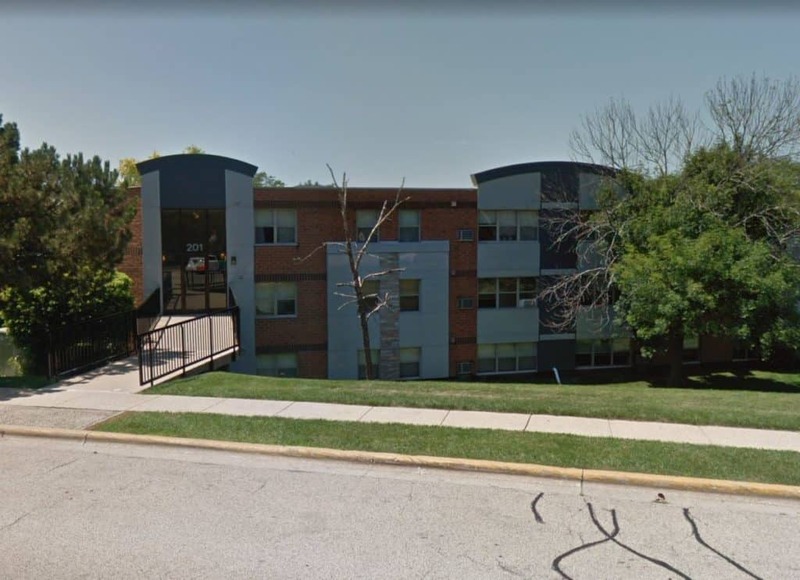 Lake Zurich Police Chief Steve Husak said that police officers and firefighters were called at 1:30 p.m. Friday to the Liberty Lake Apartments, 201 South Buesching Road, for a report of suspicious items. Husak said that a maintenance worker called 911 and reported that there appeared to be either large fireworks or explosive devices in an apartment. Police were unable to make contact with the tenants and the apartment complex was evacuated. Residents were relocated to the Ela Township Community Center nearby. The South Lake County Regional Community Emergency Response Team and area police agencies assisted in securing a perimeter around the building. The Waukegan Fire Department Bomb Squad responded to the scene. Husak said that the tenant was eventually located and gave consent to search the apartment. “The suspicious items turned out to be homemade batteries which were determined not to be hazardous,” Husak said, adding that there was no crime committed and no charges will be filed. Residents were allowed back into the building four and a half hours later at 6 p.m.